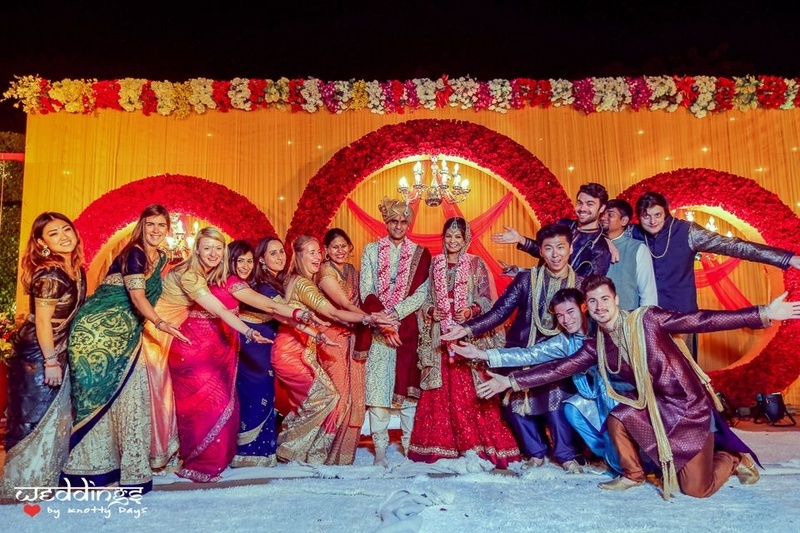 Love in Paris, followed by a splendid wedding in Delhi. 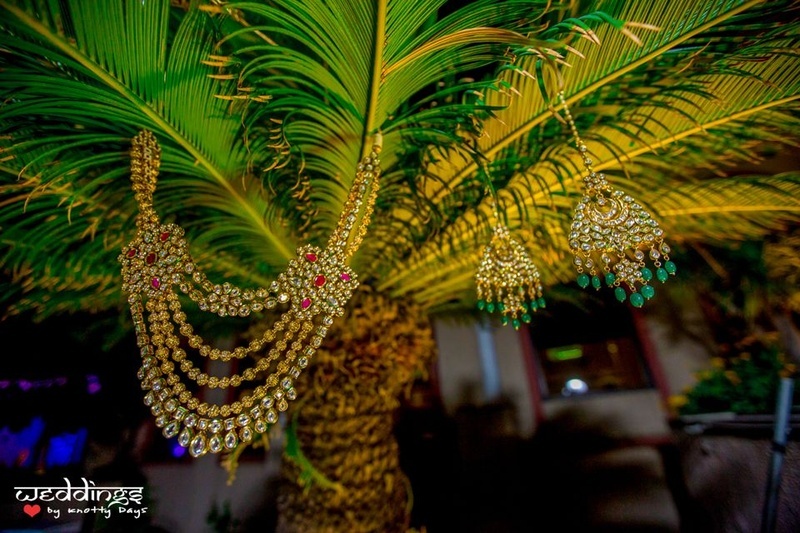 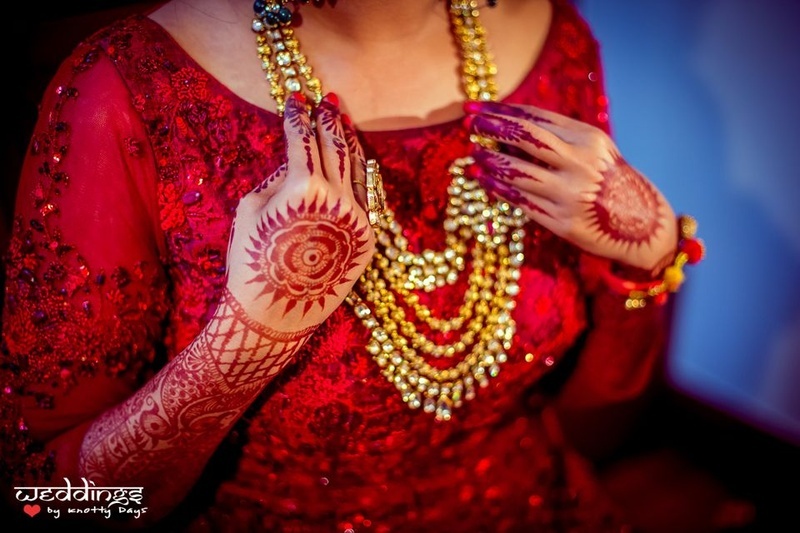 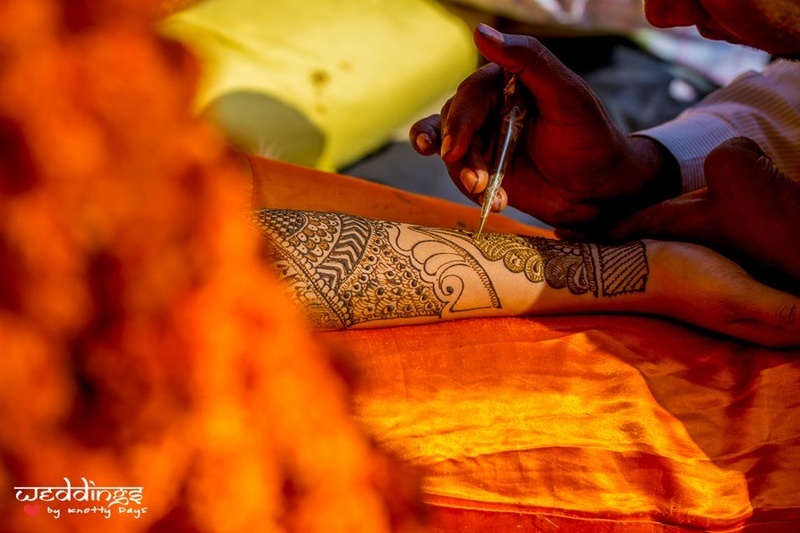 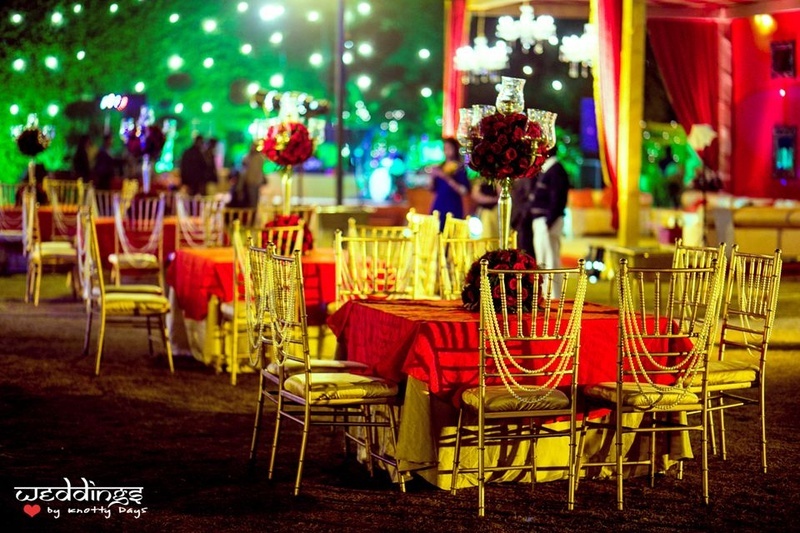 Look out for the vibrant mehndi decor! 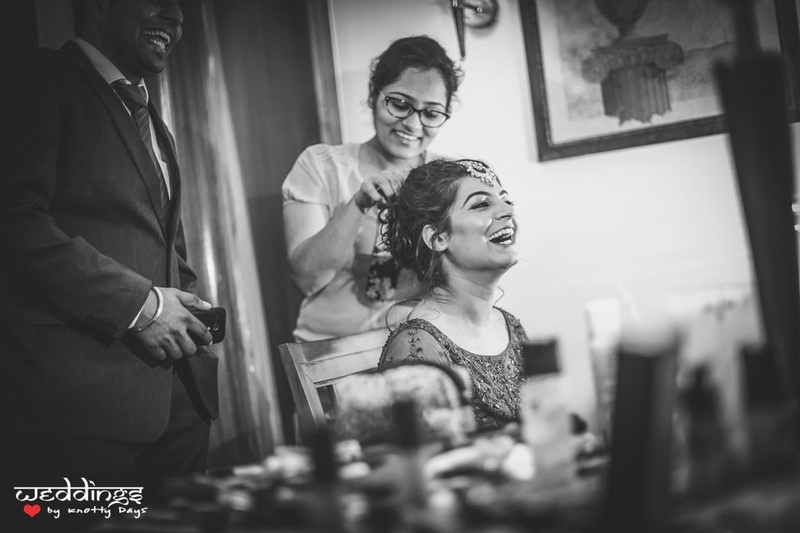 Mallika and Sameer, two Delhiites met for the first time in Paris and of course, the city of love lived up to it's title and had them falling for each other in no time. 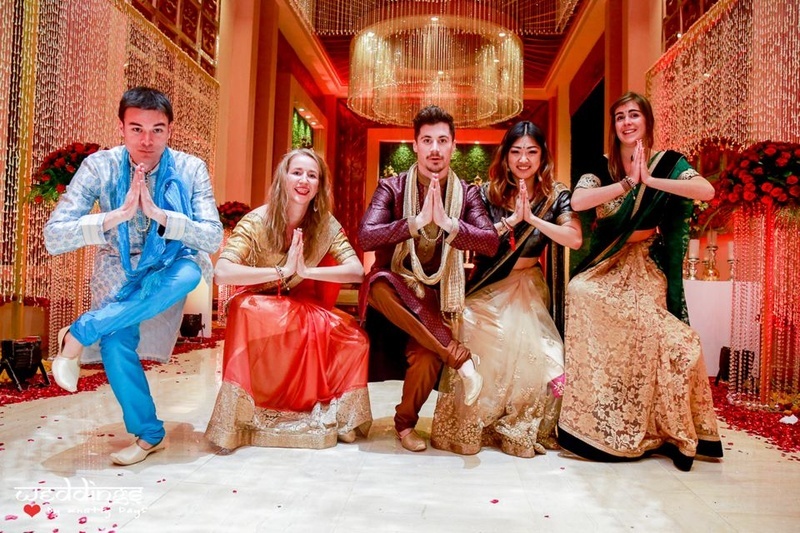 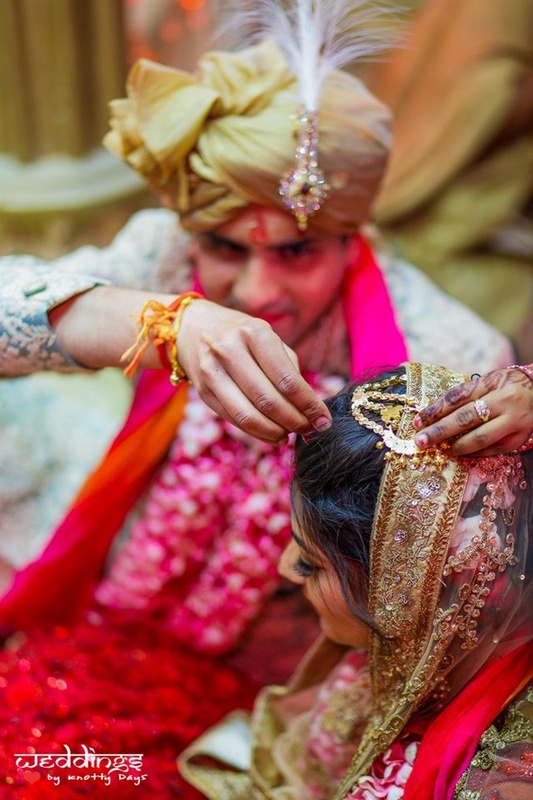 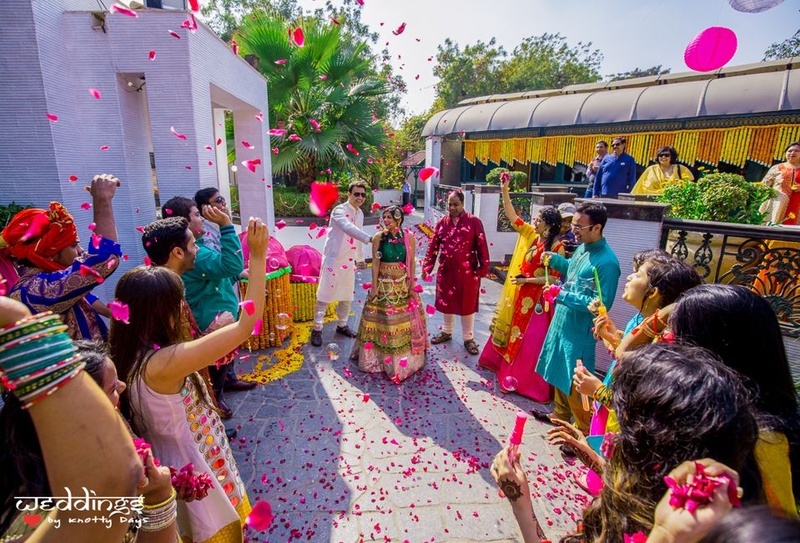 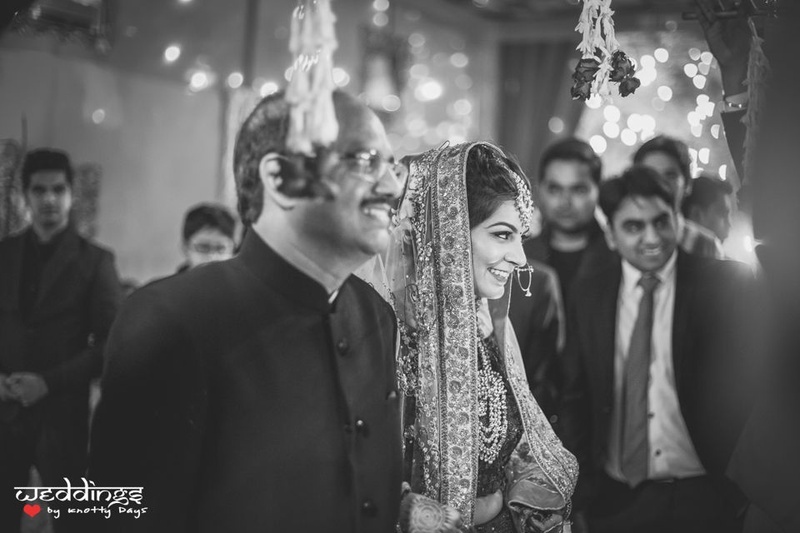 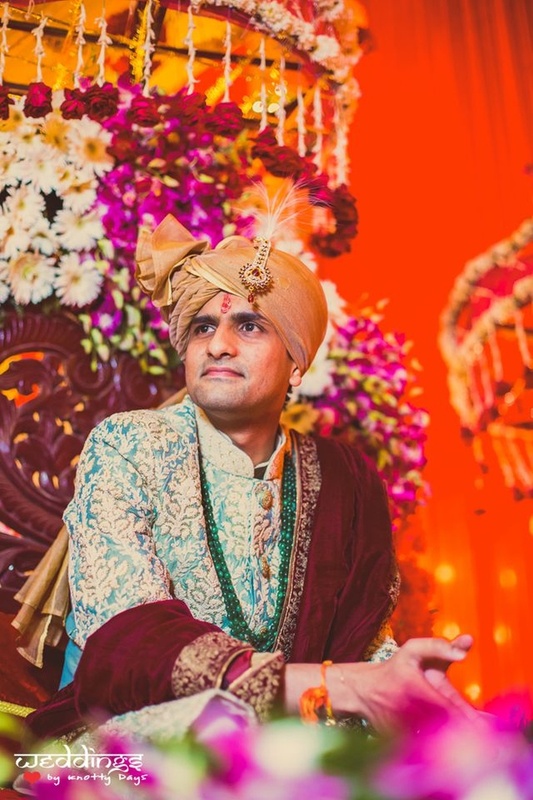 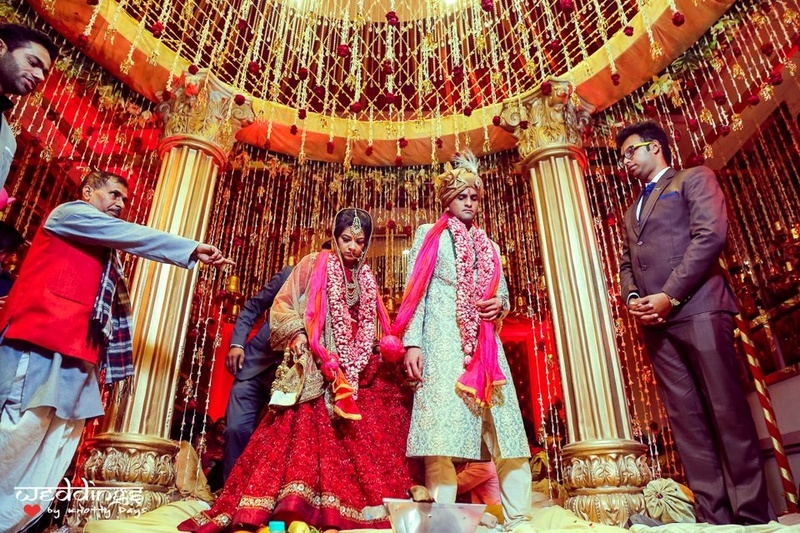 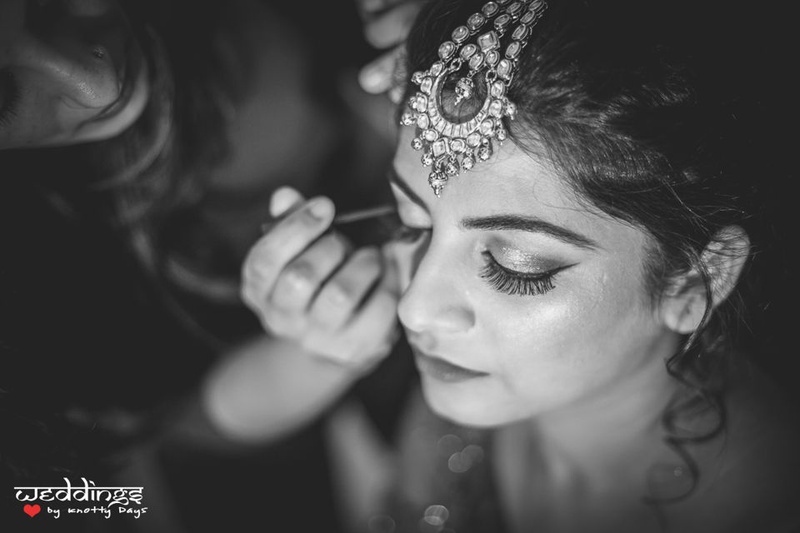 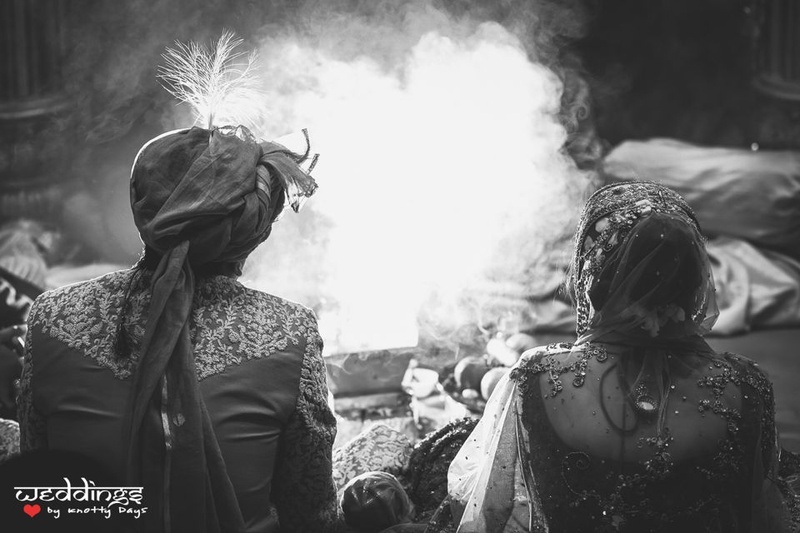 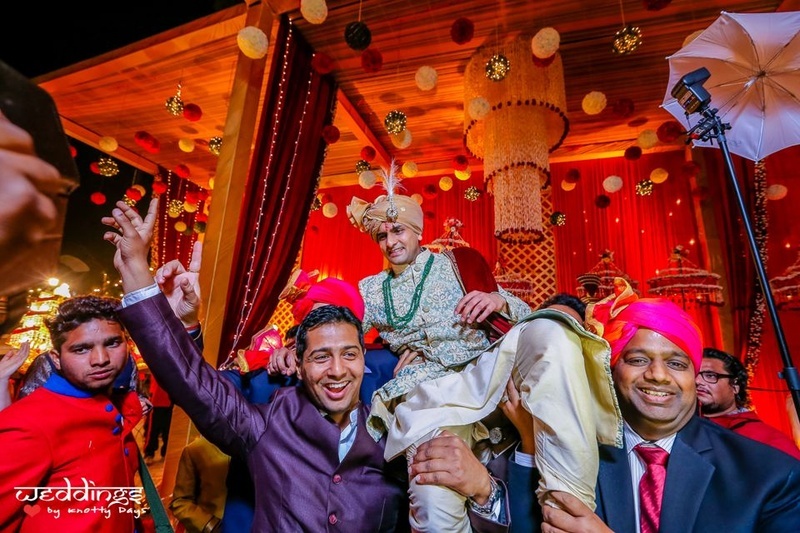 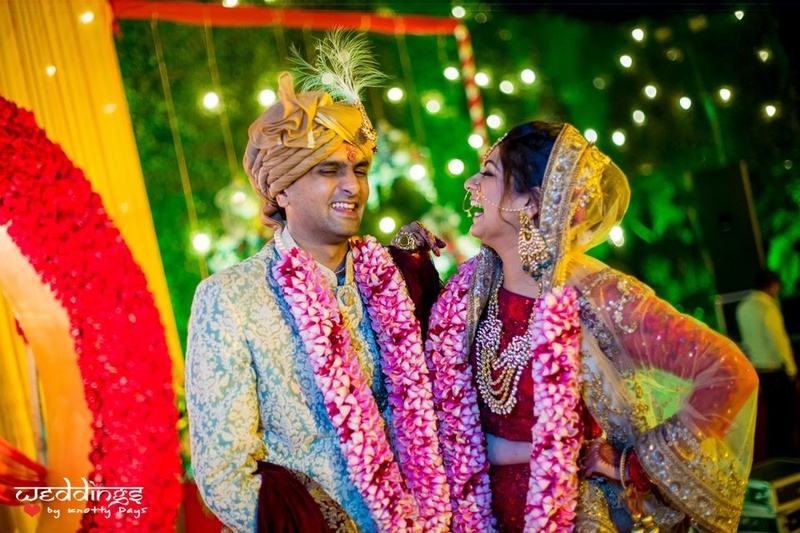 Not much later, their Delhi wedding pictures dropped into our inbox and we can't stop gushing about all the lovely details! 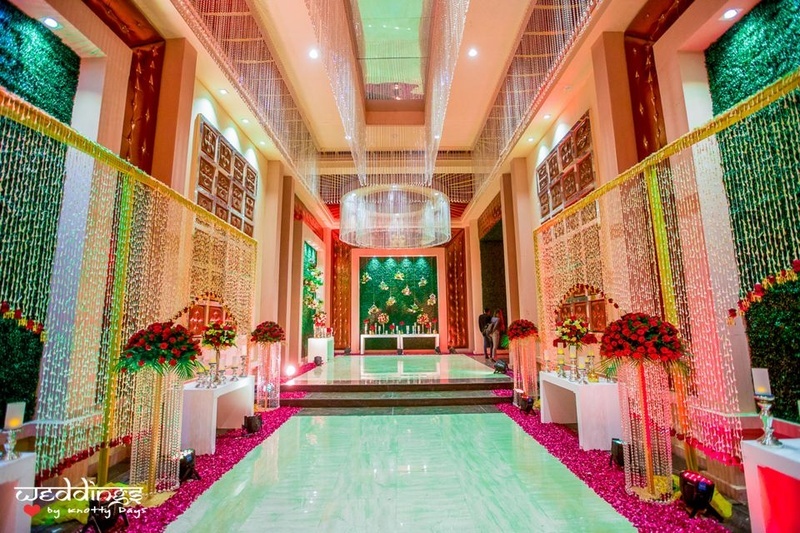 Though each and every detail was more than gorgeous, what really stole the show was the mehndi decor by Pandhi decorators, the mandap being a close second. 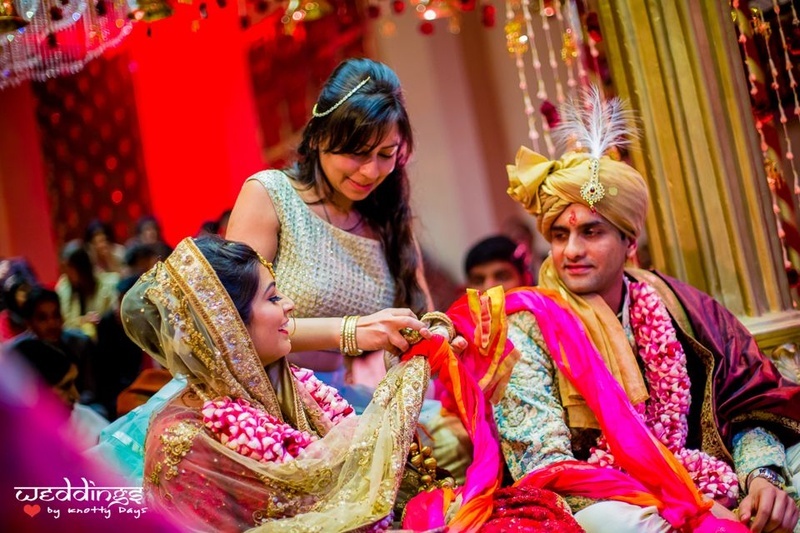 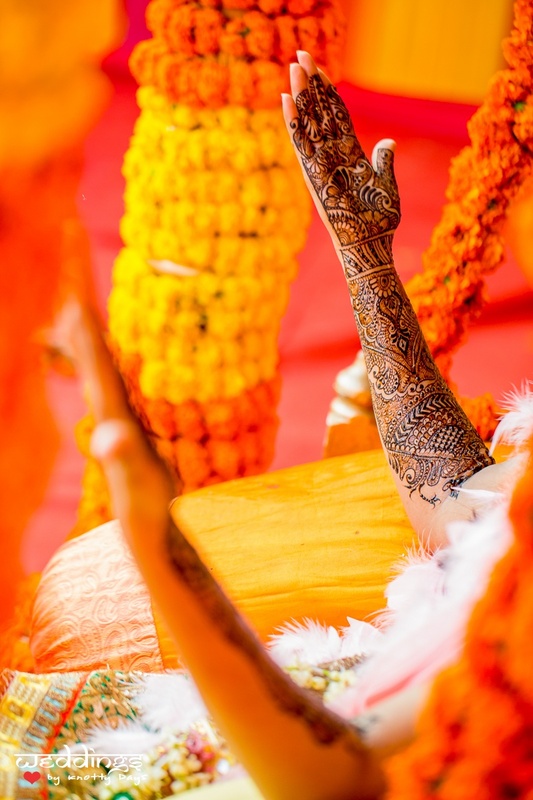 The bright yellow, orange, pink tones accompanied by the ever-present marigold set quite a vibrant mood to the mehndi. 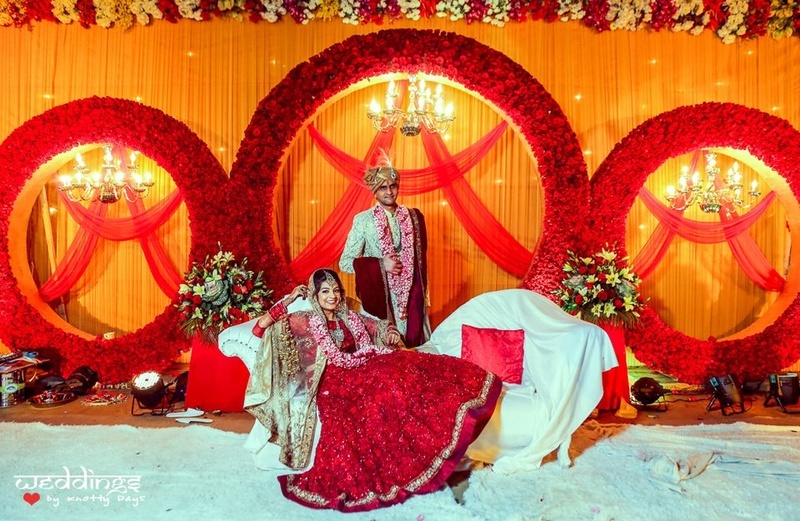 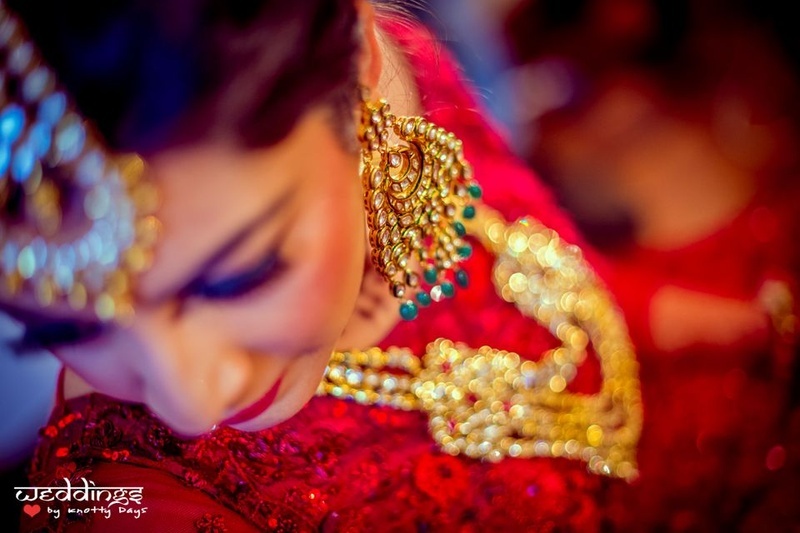 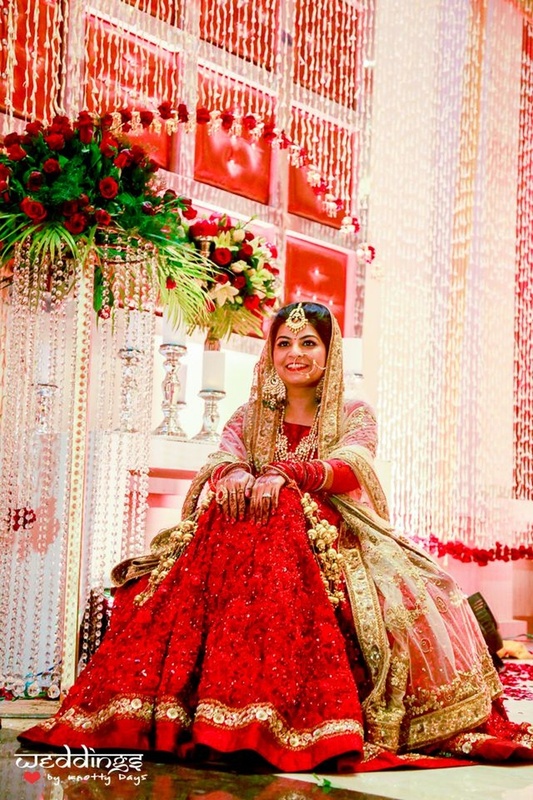 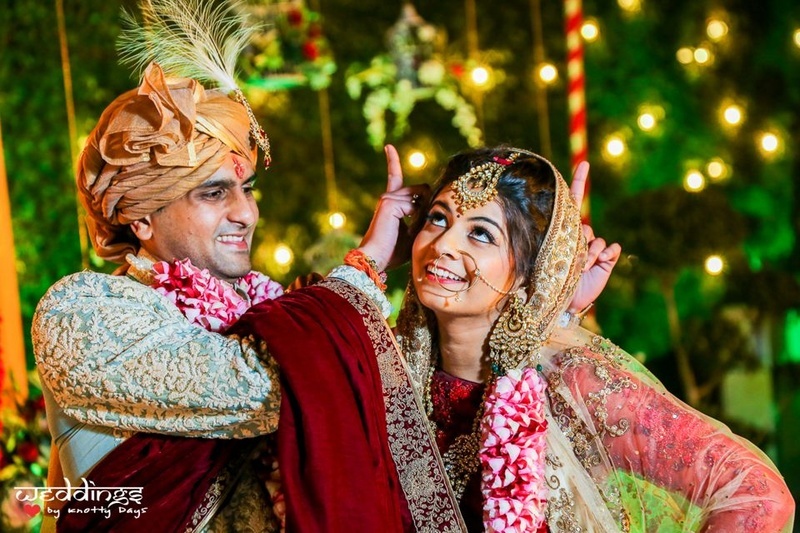 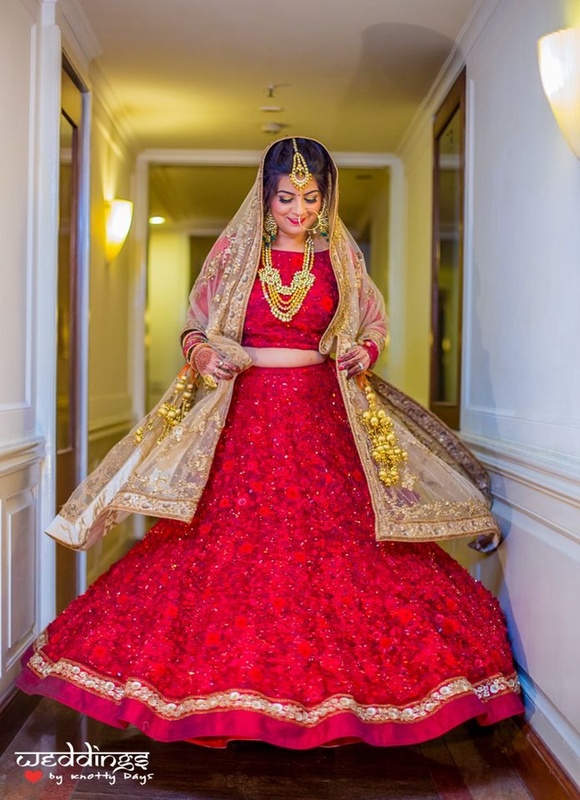 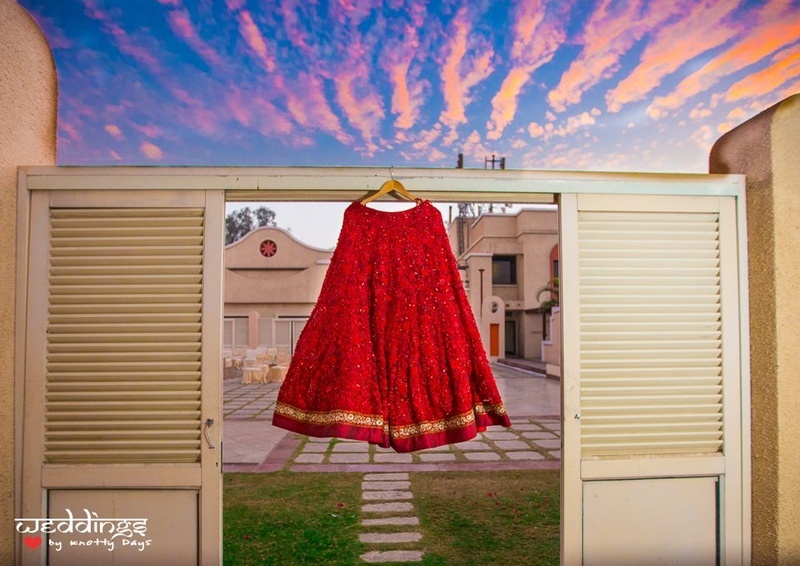 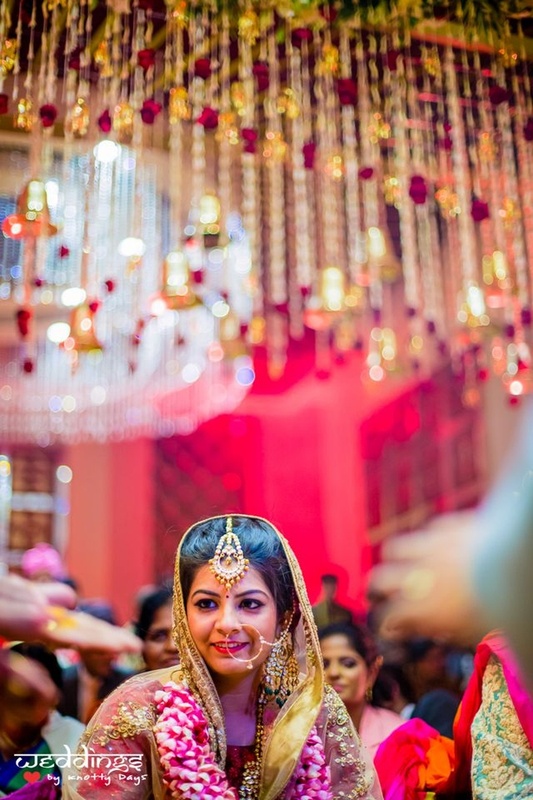 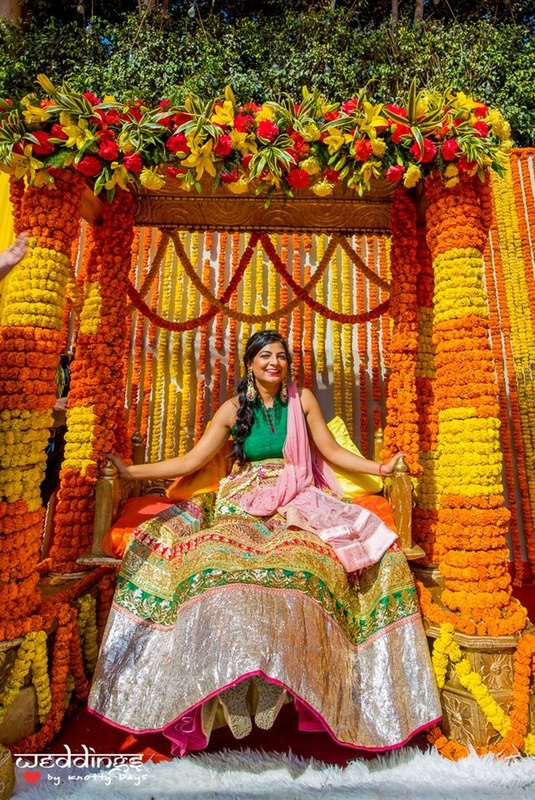 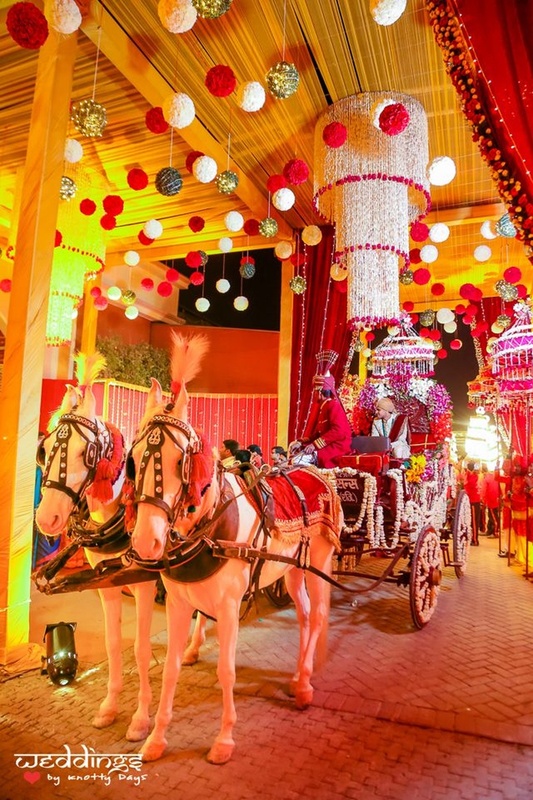 The wedding that took place at Tivoli gardens, Chatarpur had Mallika looking stunning in a rich red lehenga by Peach Loft and sparkling diamond jewellery. 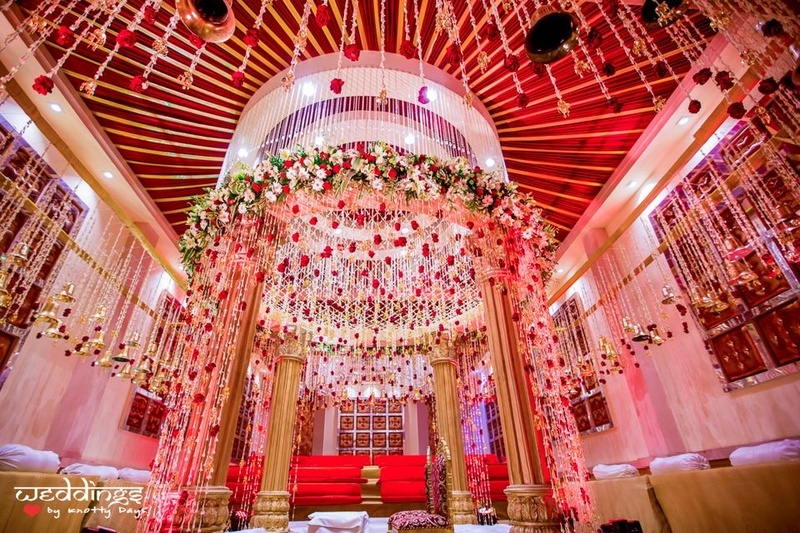 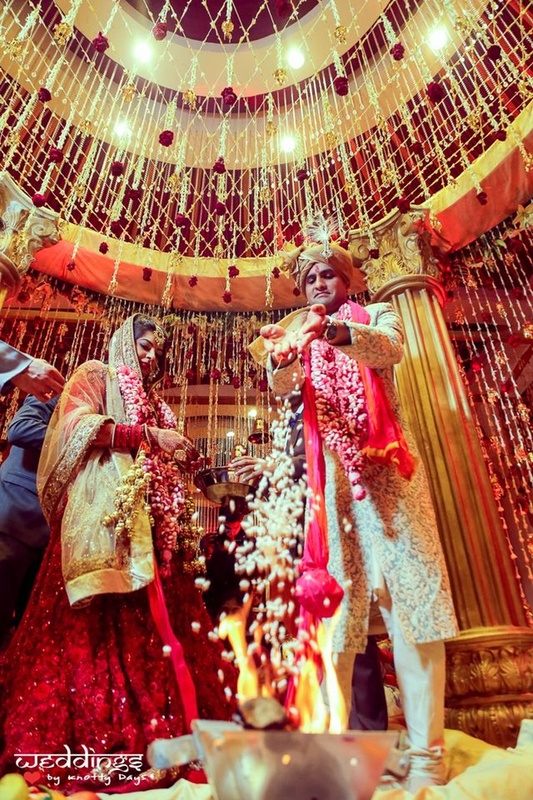 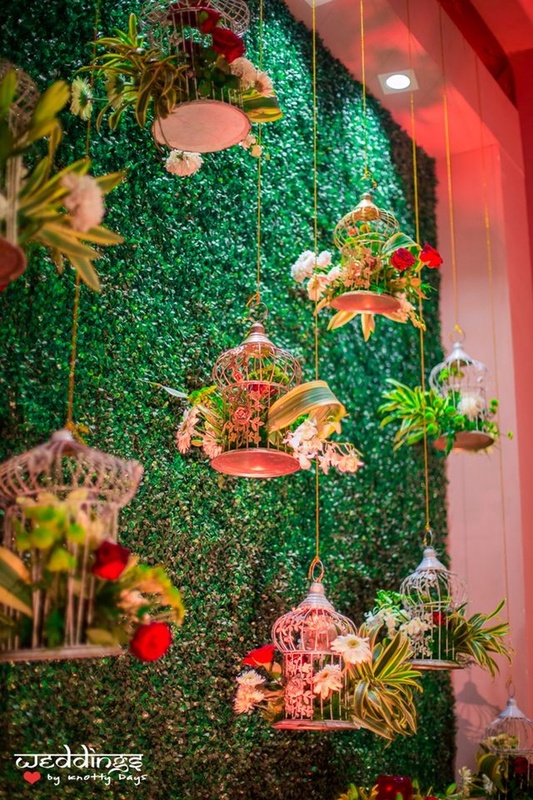 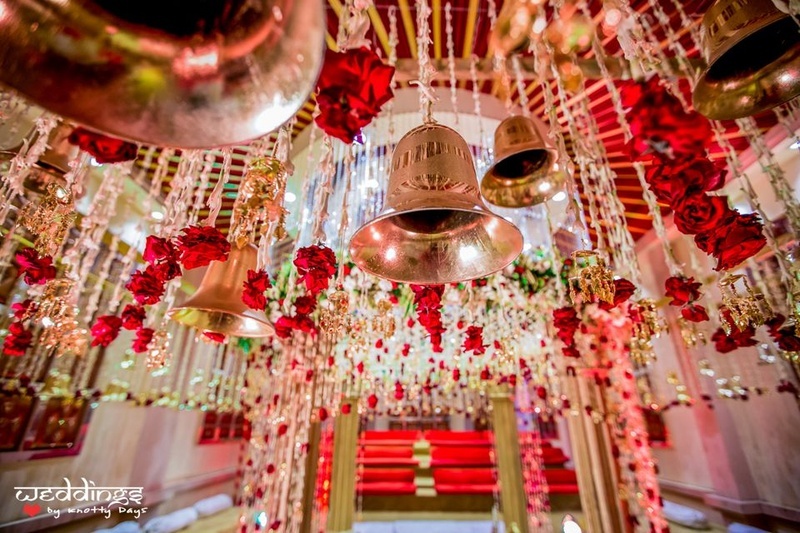 The mandap decor matched up to all the opulence, with countless bells and roses that were suspended from the ceiling amongst many other floral elements. 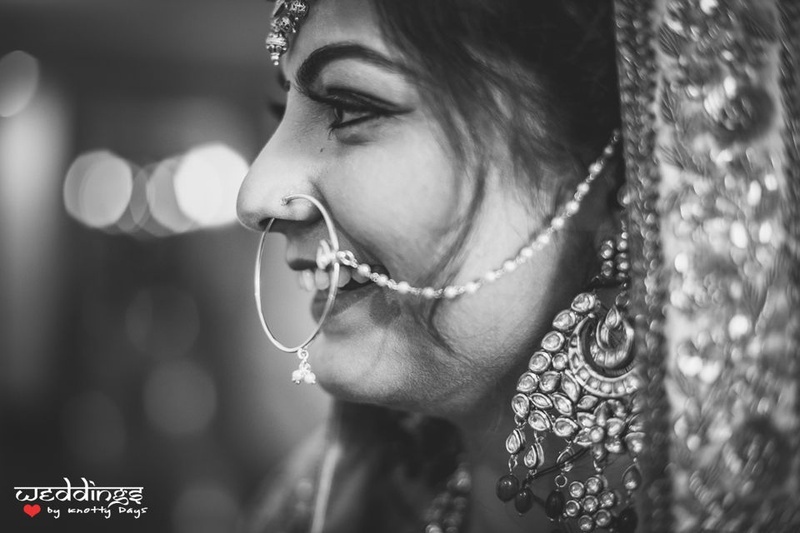 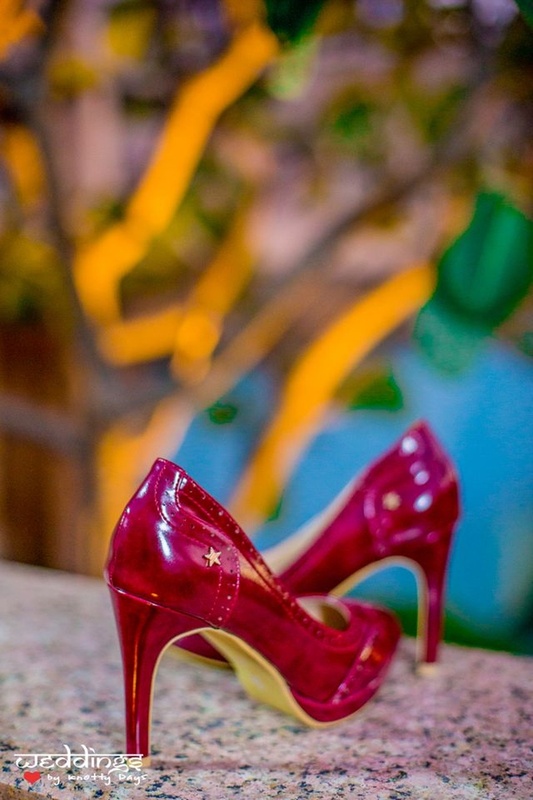 Captured brilliantly by Weddings By Knotty Days . 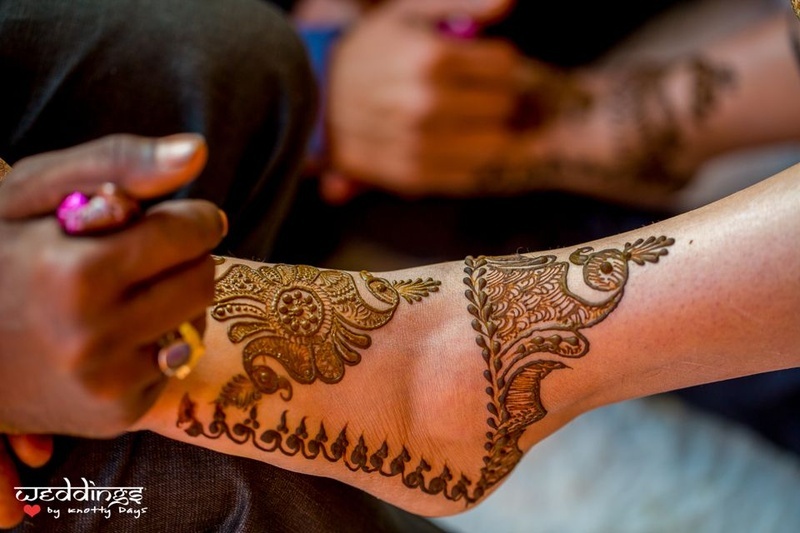 Keep scrolling for a detailed view! 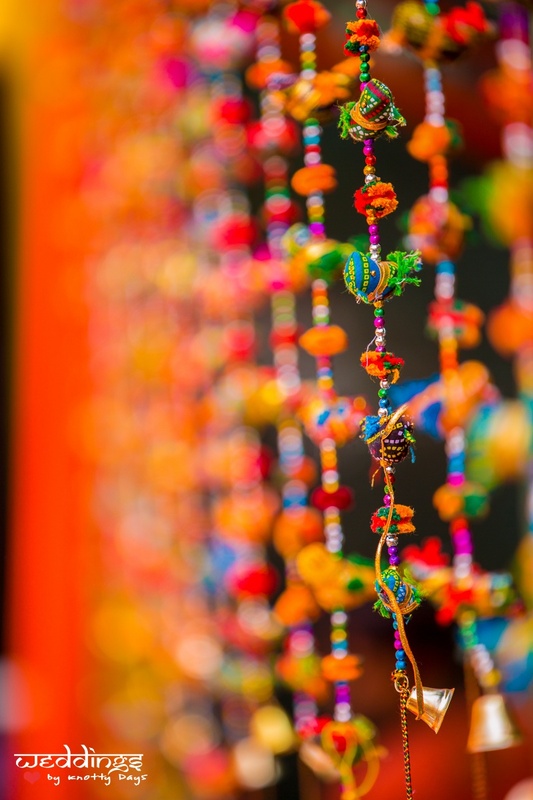 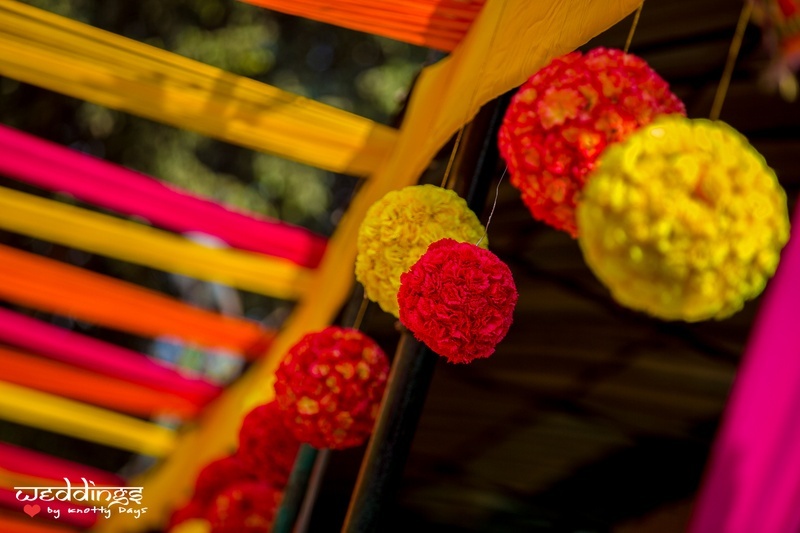 Colorful vibrant hanging decor for the mehendi ceremony. 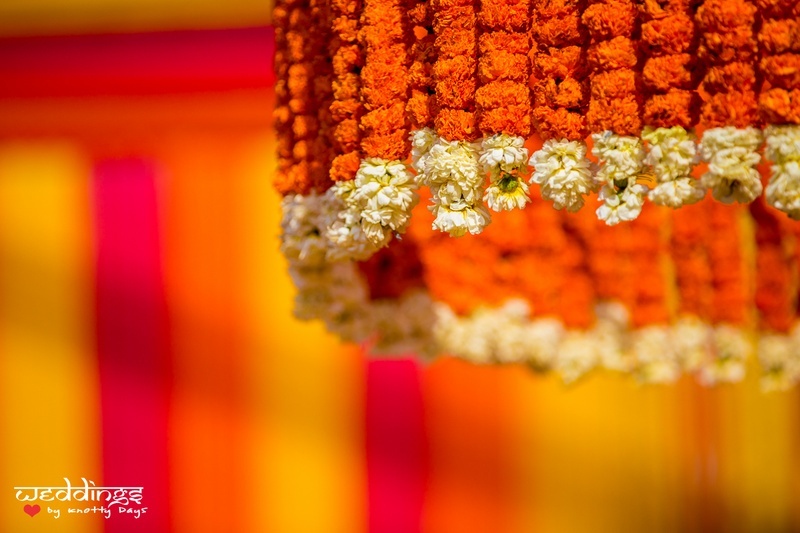 Genda phool decor for the mehendi ceremony. 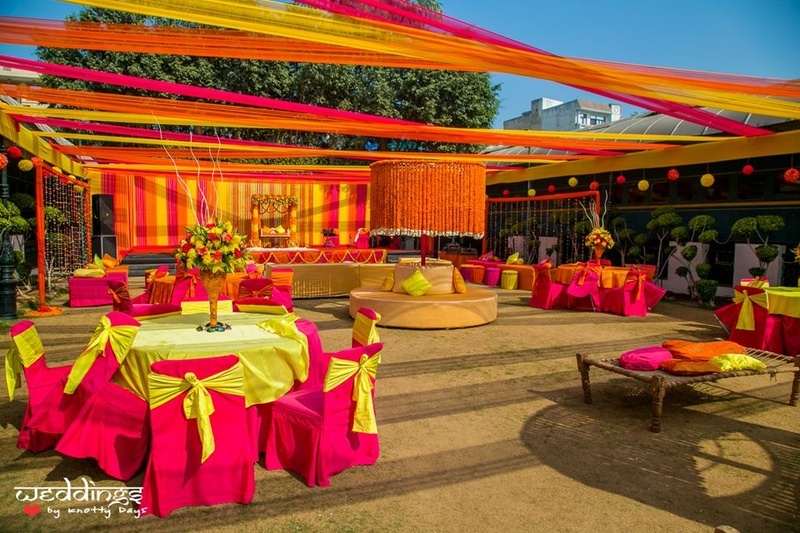 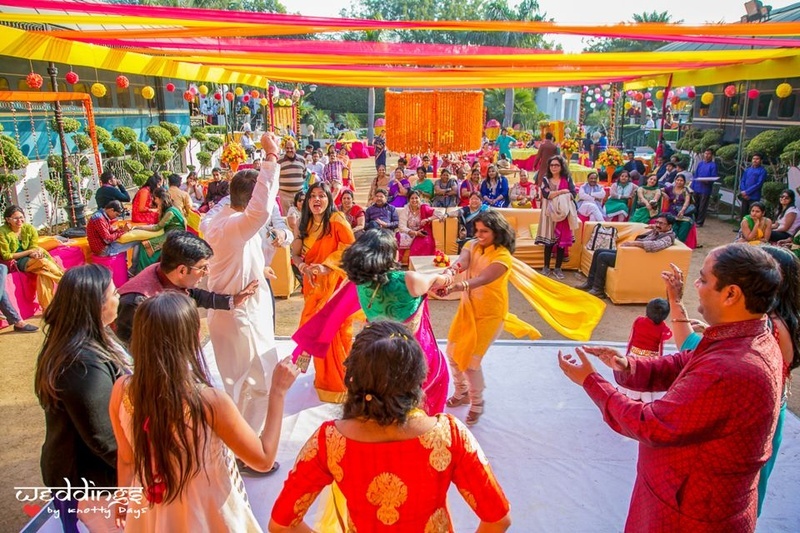 Vibrant pink, orange and yellow decor at the mehendi ceremony. 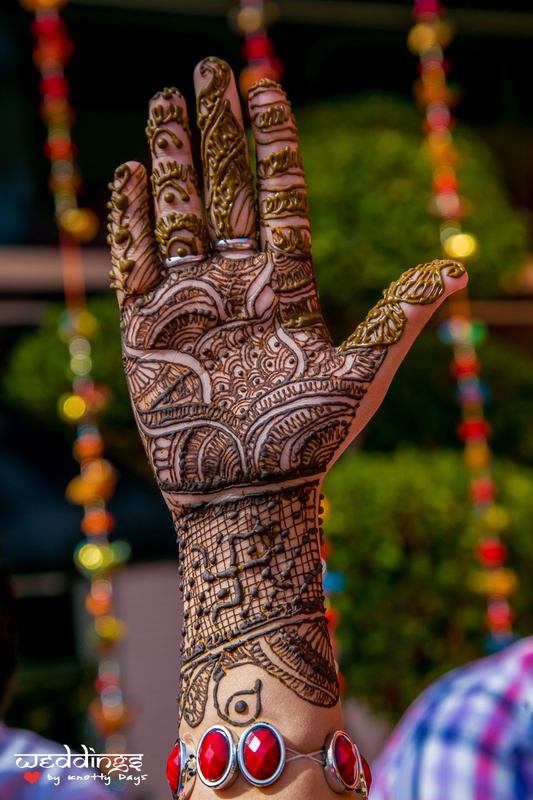 Mallika's entry at her mehendi ceremony. 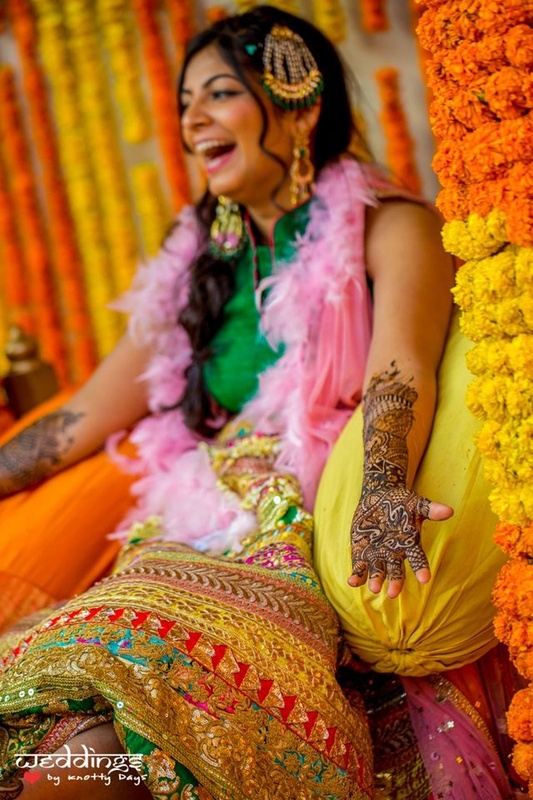 Dressed in a multi colored lehenga for the mehendi ceremony. 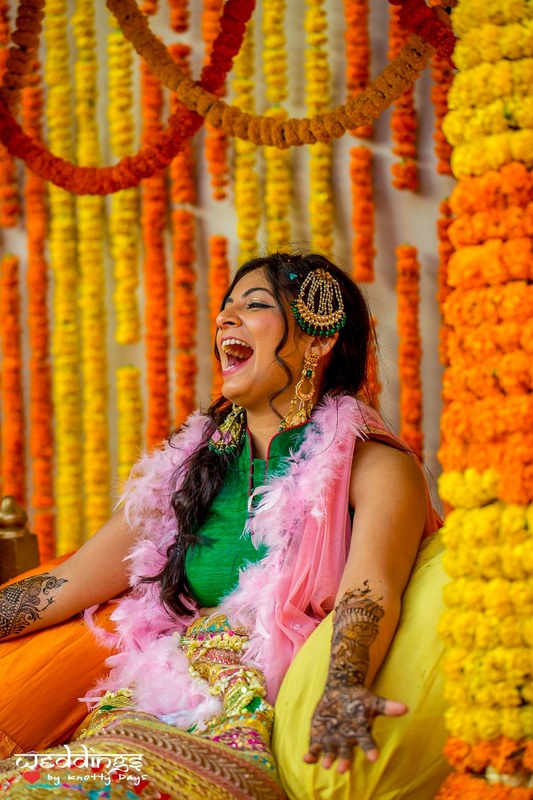 Fun and cheerful bride, all excited on her mehendi ceremony. 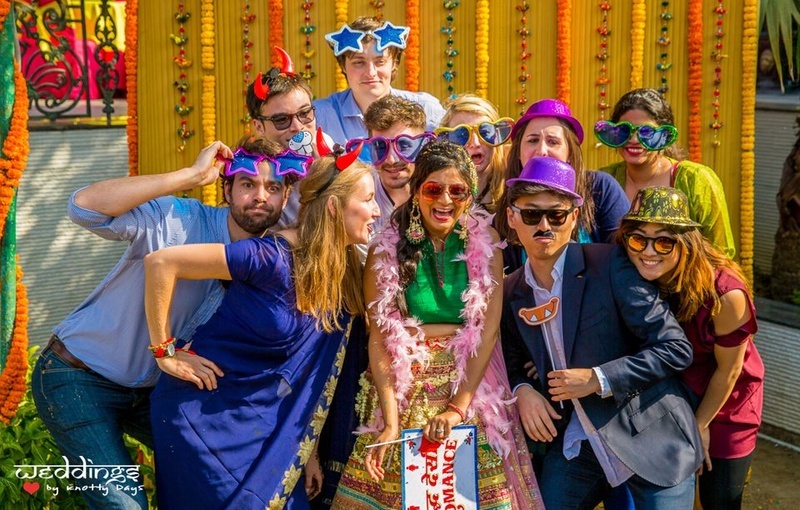 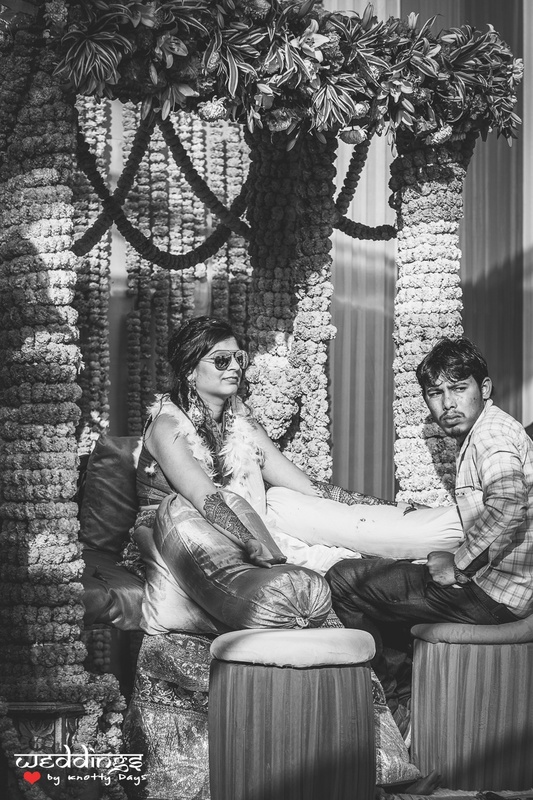 Fun and quirky props for the mehendi ceremony photobooth.